All guidance comes from within; we hear it when we get still and listen closely. But, what about when we need a quick answer, after all, life is incredibly busy. 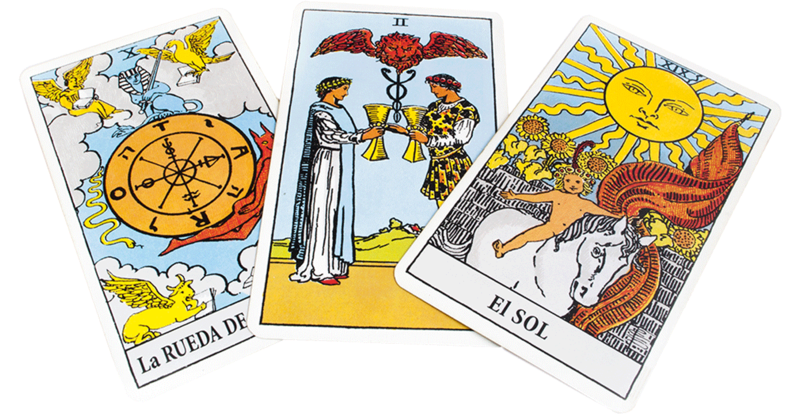 One way to get fast answers involving career, relationships, health or spirituality is the Tarot Deck. It’s a deck of cards. It’s a tool of divination. And it works! It was actually a card game that originated in Europe in the 1400s. The cards are filled with rich symbolism that speak to your psyche. The cards offer guidance from your Higher Self, your internal teacher. Essentially, the cards have pictures of your life’s path written in living color with mysterious characters such as the Magician, the Hermit, the Empress and more. Images of wands, swords, cups, and pentacles help weave together tales that speak to you. Let’s get guidance from your Higher Self around your a current life issue using the Celtic Cross layout!